“Work, rest and play” is a phrase often used to describe what our lives should be. However, with our busy lives, we often forget that one third of this is actually spent in bed, recuperating and reenergising. Should this not be the time to really relax, unwind and achieve the rest you deserve? And why compromise? Our company can assure you of a luxury product to do just that and without the price tag? We know that in this age with of increasing competition, we have to be the best in offering world class customer facilities to be able to compete and that’s exactly what we do. 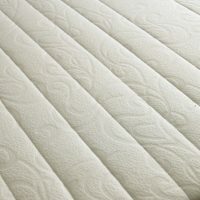 We only specialise in adjustable beds and therefore can claim to be experts in the field. Following years of research and development we offer you our luxury range including a range of bedsteads with mattresses which have optional built-in massage systems. The well-engineered, whisper-quiet German motors ensure years of durability, quality performance and enjoyment at the touch of a button. The adjustable collection comes with a five fold frame and offers a complete choice of comfort settings. As an example of individuality, couples often want to share their bed which can be difficult when they have different needs. Double combination beds offers the solution where the frame can be raised to your desired position thus providing you with the ability to maximise your comfort. They can adjust to your every need, giving you the utmost in comfort and relief, raise your head, watch TV, lift your feet, relax in comfort and enjoy restful sleep. The choice is yours. Extra long beds for tall people can be made by special request, beds at variable height, styles, finishes and sizes are offered, all individually tailored to your needs. We buy only from suppliers who have years of experience behind them and given our successful track record in sales, vast stocks are kept to ensure we meet the demands and offer the service the customers are worthy of. Dealing directly with the manufacturers and the suppliers enables us to give you the efficient service and keep overheads low which means low prices to our customers. The five fold adjustable base is innovative in design and flexes to support the five key areas: knees, hips, back, neck and head. 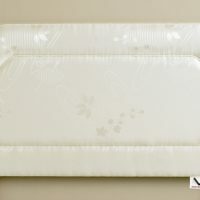 The adjustable bed is perfect for those suffering from medical ailments and are regularly recommended by the medical profession in addressing pain relief for sufferers of: arthritic and rheumatic pain, hiatus hernia, higher and lower back pain, stress, tension and anxiety, poor circulation, oedema, asthma, cramps, insomnia, swollen ankles and respiratory problems. The unlimited ranges of adjustable positions offer a luxurious and sensual experience whilst in a state of relaxing and tranquil night’s sleep. It is becoming an ever increasing trend for people to relax in a plethora of various positions in bed for numerous reasons. It could be to sit and watch a sitcom on television or recline to read a newspaper or even just to put your feet up and relax, whatever the reason our range of adjustable beds can be tailored to your exact liking through its infinite range of positions. Our beds manoeuvre into many different positions as illustrated below.